Well, another forum another Goku vs Superman debate. Who wins and why? Most current and recent of the characters only. 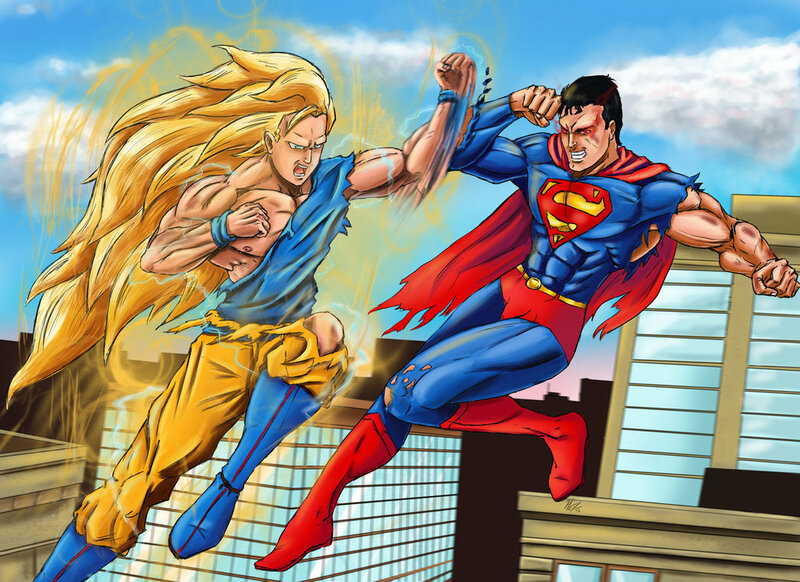 Maaan, Goku sneezes and blows the dude away. I am just a little test account, don't message me! Ah man I missed these. As far as this goes though, Goku probably wins. I'm not exactly current with Superman atm, Goku as he is right now probably has access to UI and MUI. Which, so long as no one's absurdly faster, should allow him to remain mostly untouchable in terms of a brawl. He'd be like a piece of wet soap, just slip sliding everywhere. Last edited by Kingslayer96; 06-02-2019, 07:54 PM. Goku isn't beating the Superman who could fly so fast he was going to break reality and keep going until the literal God that created everything had to step in. Nor is he beating any Superman that can fly through time, not unless you set specific cop out restrictions to give Goku the win. Which is as useful as saying Goku can't win because he can't go Super Saiyan in the Saiyan Saga. If there are versions of Superman that can win, then Superman wins unless the OP wants to specify how well a particular one would do. Destroying a universe isn't really a win condition either, especially not when many Superman's can fly through time and phase through all attacks. Any Superman powerful enough need only realize he can't win, fly through time and lobotomise Goku before he's too powerful. Or maybe he'd even want to kill him since Goku is so incredibly reckless and dangerous.